As the experts in septic tank pumping in Waterdown, Flamborough Septic has been well known for their expert advice and professional service. For over 50 years, the team behind the septic tank pumping business has put their hands together, to build a solid reputation that exceeds expectations. From residential septic tank pumping to commercial septic tank maintenance, we truly cover everything. If you have questions about the frequency at which you require septic pumping and maintenance, just give us a call. In the event that you feel the efficiency of your septic tank system has lowered, you can always inquire about our septic tank inspections. These inspections are used for both personal and real estate needs, especially when buying new property. If you are purchasing a home and would like to know the current condition of the septic tank, you can always have an inspection done. 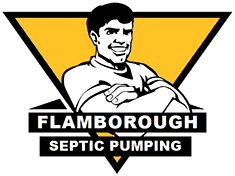 For all your septic tank pumping, inspections and maintenance needs, call Flamborough Septic at 905-689-0333.